Perhaps you want to have some cash buffer while your real business ramps up. Perhaps you just want holiday spending money. The good news is that it’s easy to find gigs that supplement your primary paycheck. Some marketplaces are focused on writers, some are focused on design, and some are just for general life tasks, so you can choose the type of work you want to do. Before you sign up with one of these marketplaces, be sure to investigate. Look at reviews from others who have done work for them, and find out their payment policies, be sure you understand who owns your work product. Above all, be sure that you’re receiving adequate payment for the work you do. Consider the opportunity cost of accepting the gig vs working on your primary business before you proceed. Upwork offers all types of services, from marketing to IT to translation services. All you need is a computer, Internet access, and your mad skills. Upwork provides a user-friendly platform to help you communicate with your client, share files and project-related documents, track your time, and get paid. It’s free to join Upwork. Once you begin doing freelance work with a client on the platform, they deduct a percentage fee from each payment. So, be sure to price your services accordingly. Upwork also offers premium membership plans for an additional cost. 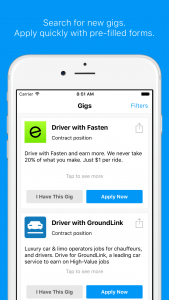 The Gig Saloon is an app for gig workers. 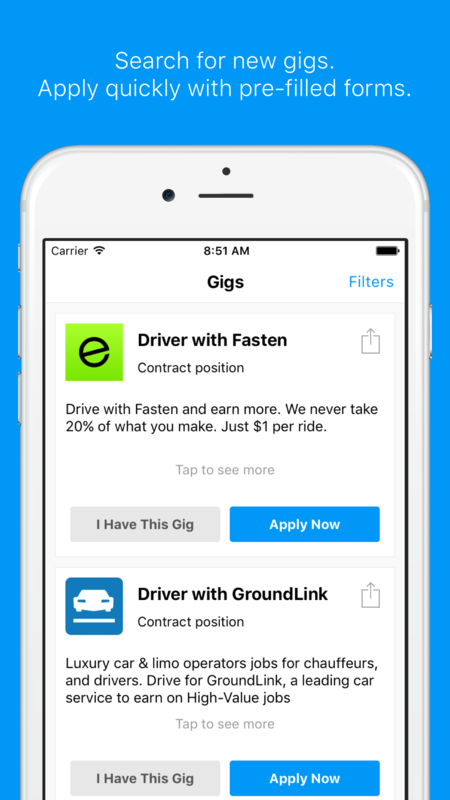 It’s one streamlined place where gig economy workers can go to find new jobs, stay up to date on gigs, and share their experiences. The app aggregates jobs from across a wide array of sources, so it includes driving and delivery along with general marketplaces like TaskRabbit. 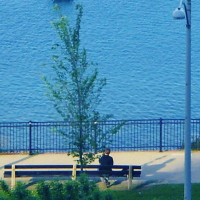 The cool thing is that you can share your experiences (and read about others’ experiences) in the discussion area. This app is still fairly new, but looks like a promising place to find and apply for jobs across a variety of employers. 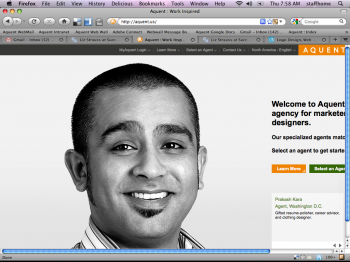 Fiverr is a site where you create your ideal gig based on your own talents, time, and experience. Then people who need what you’re selling can come and hire you through the site. 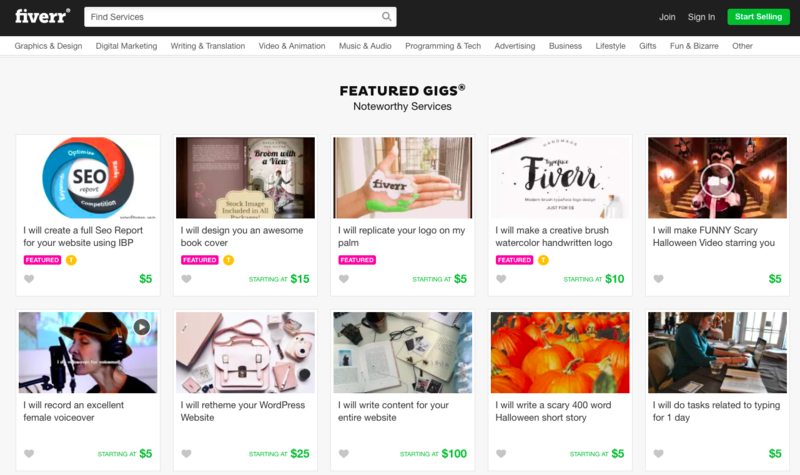 Fiverr includes worker ratings, and provides a secure transaction service, so you don’t have to directly contact the person hiring you for payment. 99designs is a marketplace for design. Customers upload design briefs for potential projects, choose the “prize” (which is the price level offered for the work), and then designers can submit entries to win the work. Because of the contest format, 99designs could be a way to test the waters if you want to get some real-world feedback on the quality of your design work, or if you’re just getting started as a freelance designer and want to build your portfolio. There is risk that your design won’t be selected, and you give copyright ownership to the customer, so read the fine print before you join. TaskRabbit’s marketplace revolves more around local gigs, and you can do general errands, cleaning, and personal assistance among other specialties. You decide what you want to do, you decide how much you want to be paid, and TaskRabbit finds you local tasks. 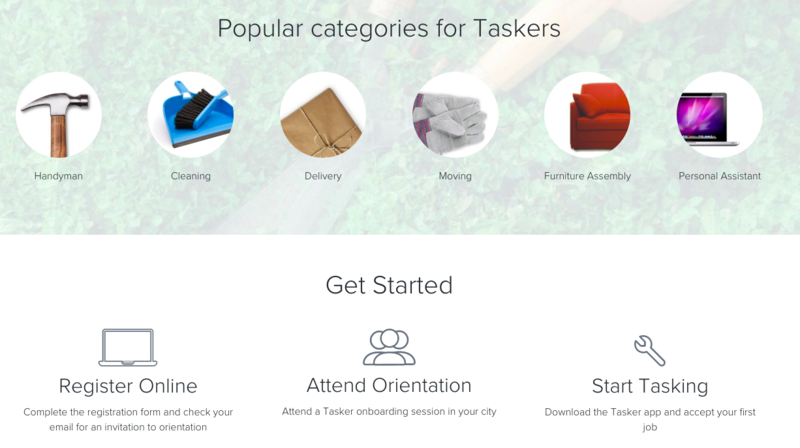 Members of TaskRabbit are called “taskers.” There’s a mobile app, and on-boarding/orientation provided by the company. Hubstaff Talent makes it easy for freelancers find quality work, simply create a profile and wait for businesses to start contacting you. It’s an easy to use platform with a clean, professional design. Potential employers are able to reach out to freelancers directly – no middlemen involved, and no fees for either freelancers or the businesses hiring. 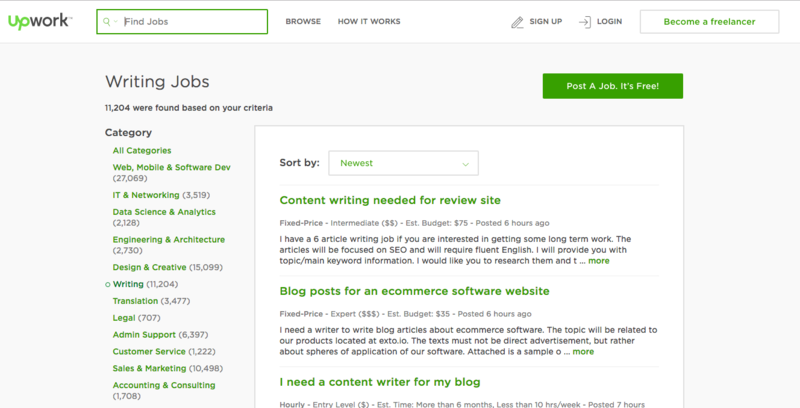 Hubstaff Talent also recently launched a “Jobs” section on their website where freelancers can search through hundreds of remote jobs to find the right one for them. Bidvine.com is a local services marketplace and covers over 800 services from photography to personal training and handyman services. While some of the services covered by Bidvine require professional qualifications, others, such as furniture assembly or dog walking are available anyone with some previous experience. 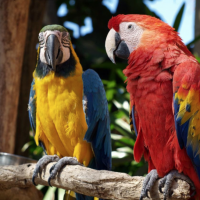 It’s free to sign up, you can view client inquires for free and you pay a small fee when you want to submit a bid – no commission to pay and all repeat business is yours to keep. Have you used any of these services to supplement your income? Did I miss any great resources? Todd Hoskins chooses and uses tools and products that could belong in a small business toolkit. He’ll be checking out how useful they are to folks who would be their customers in a form that’s consistent and relevant. The free agent revolution predicted by Fast Company more than a dozen years ago never fully happened. The rising costs of healthcare, along with our collective drive for security as a result of war and economic turmoil made many people choose employment rather than a life of freelancing. For reasons of choice or necessity, there are still a lot of independent workers looking for the right gig. Large businesses often will use contractors to provide flexibility, cost savings, or to rent skill sets they do not have. 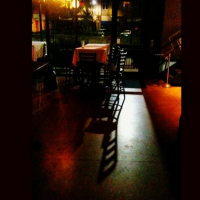 Small businesses should use freelancers more often. I recommend a couple companies that match talented people with organizations in need of help: Aquent and crowdSPRING. Aquent has been in business for 24 years. With offices around the globe, and specialized practices in online marketing, interactive design, user experience, traditional marketing, and graphic design, they find the best people either offsite or locally to fit your culture and need. It works this way. You have a project, or perhaps someone is taking a one month vacation. You contact Aquent. They assign an agent who will select some candidates from their talent pool based on budget, skill set, and working environment. You interview one or a few, and make a choice. Aquent pays the talent and bills you. The whole process can take less than a week. For a small business, this gives you access to the most talented designers and marketers for a time period and cost that you dictate, without needing to screen a bunch of people or take on a full-time employee. 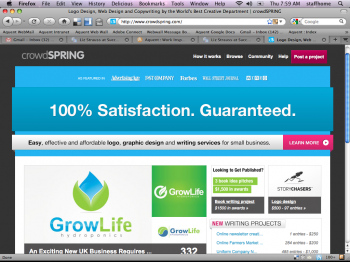 crowdSPRING offers logo, graphic design, and writing services, with a much different approach. You post the project on their site, including deadline and a price. Then you wait for the creatives to submit their entries. 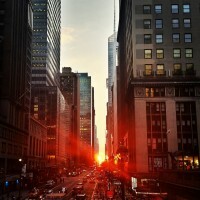 In addition, crowdSPRING has one of the best small business blogs out there. They are smart people, now with a network of over 60,000 freelancers. Enterprise Value: 4/5 â Revive the Free Agent Revolution. There is great talent ready to help. 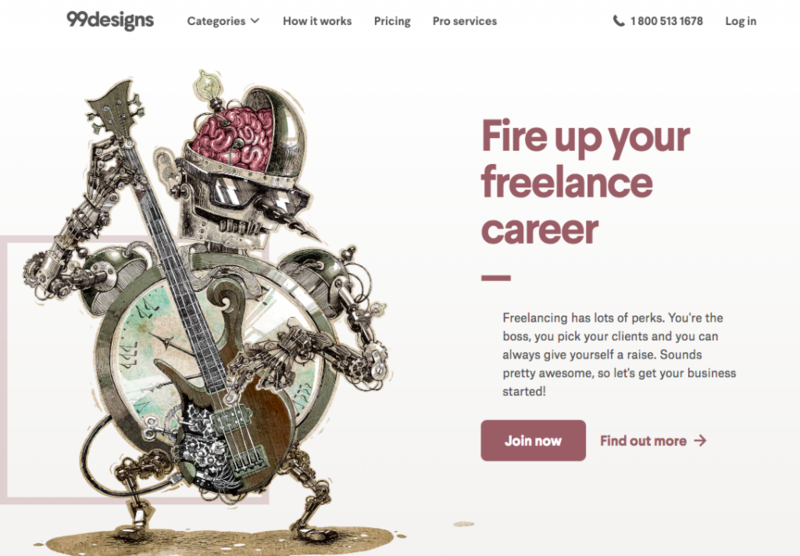 Compelling alternative to paying agencies to do execution work.